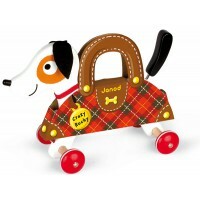 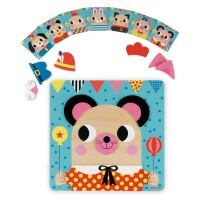 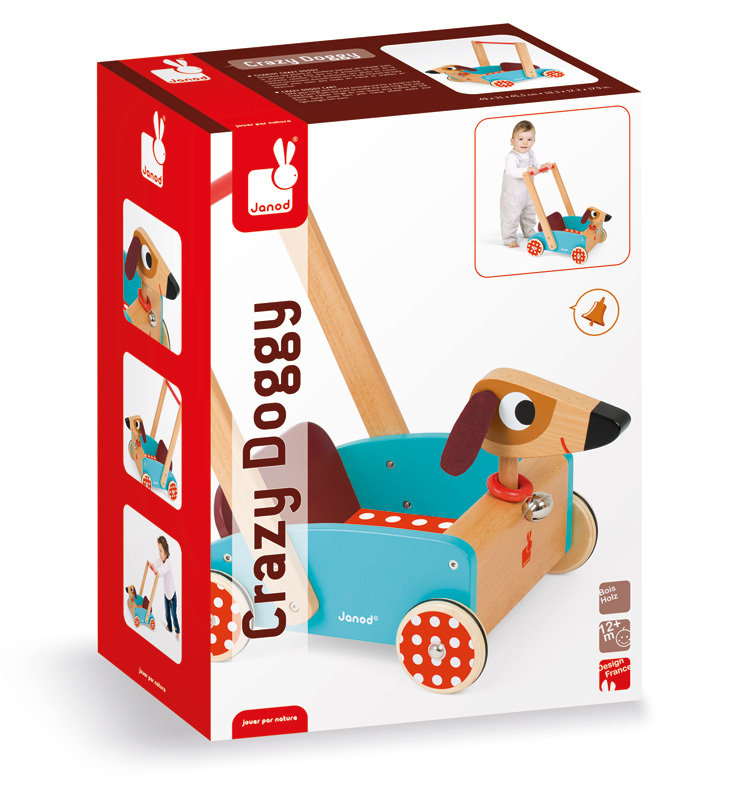 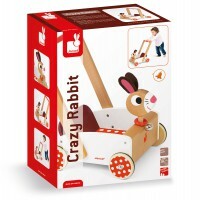 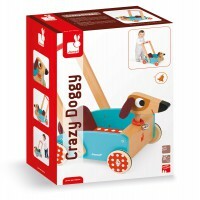 The Janod Crazy Doggy Cart is a super cute dog design which is perfect for those first steps but the tray ensures it will be used much longer to carry their precious treasures around for a ride. 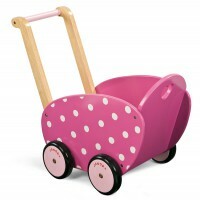 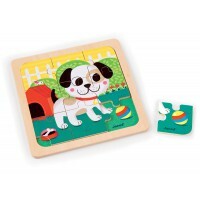 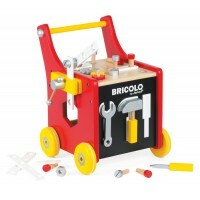 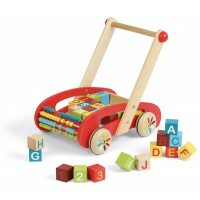 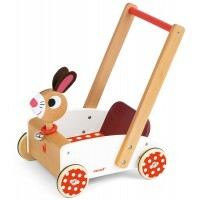 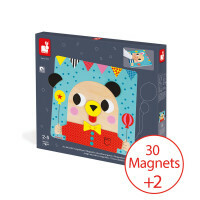 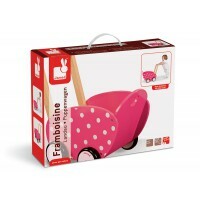 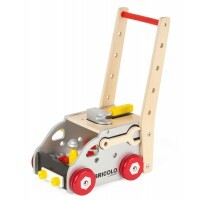 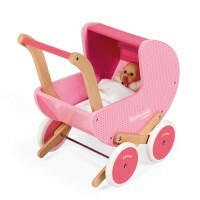 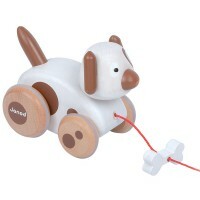 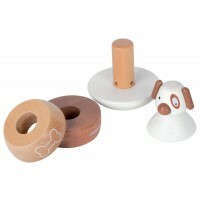 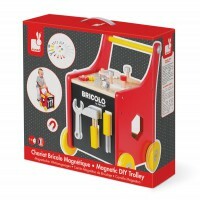 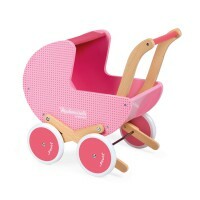 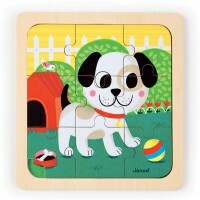 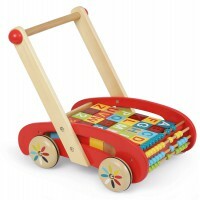 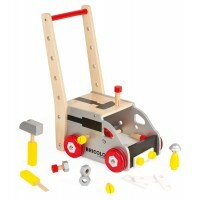 Made from rubber wood, it has rubber grippers on the wheels and is weighted at the front to ensure a sturdy smooth ride. 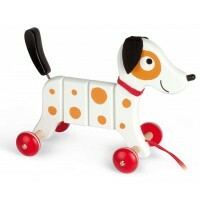 A bell collar on the dog provides a gentle ring on movement. 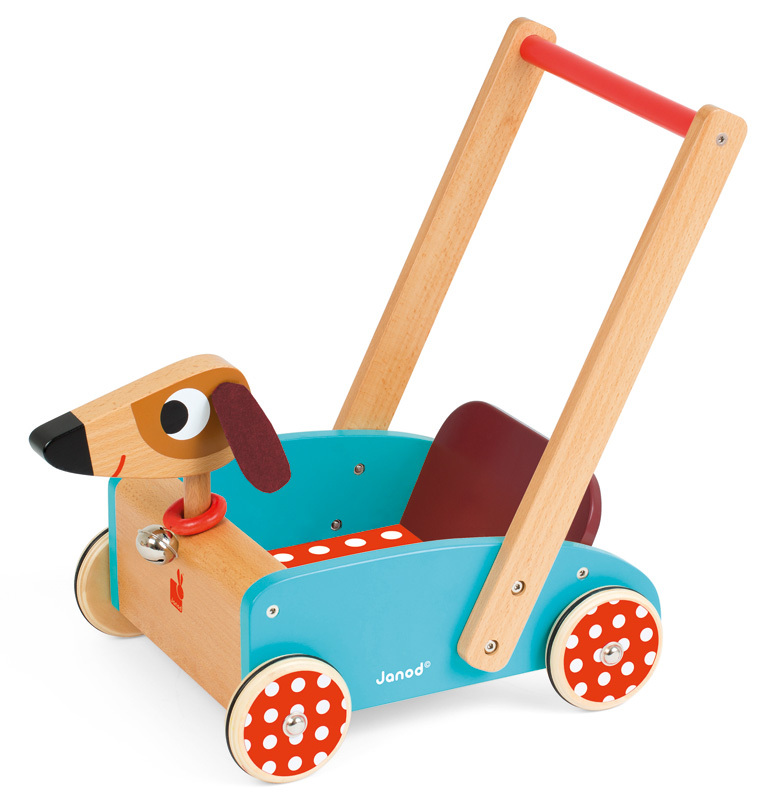 Teddy will love going for a ride!